Keep a stack of these printable Christmas cards on hand for all your friends and family. A handwritten greeting card is just such a special surprise. Especially in this day of everything being digital. Opening the mail and seeing an envelope that isn’t a bill or an advertisement is just exciting. Then you open it up and see that it is from someone you love wishing you a Merry Christmas with a little personal note…that’s just the best! 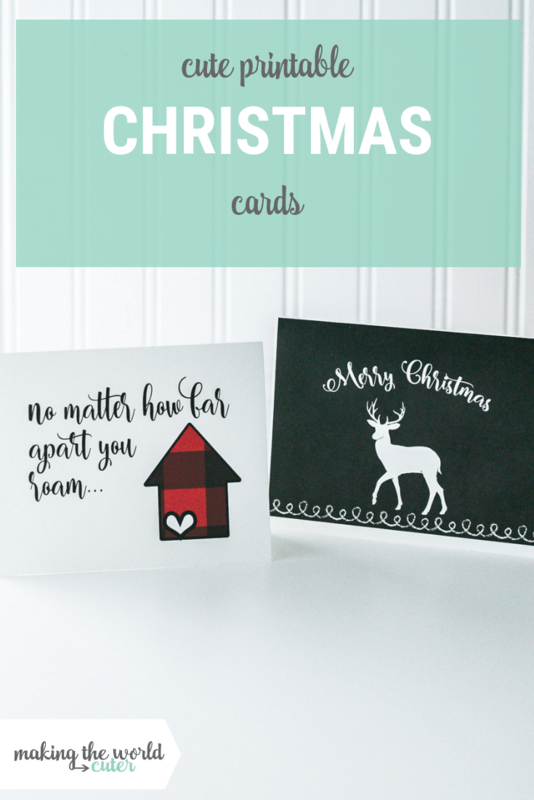 If you use these printable Christmas cards, be sure to grab some envelopes too! 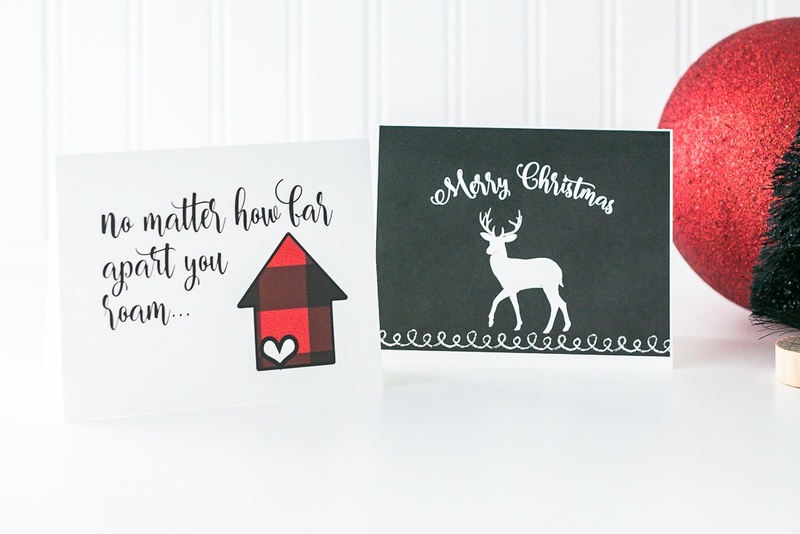 I want to make sure you have plenty of greeting cards on hand for any occasion, so in this month’s December Cute Mail you can find these two cute Christmas cards! The buffalo plaid card coordinates with the poster and banner set with it’s fun song lyrics “no matter how far apart you roam.” It’s perfect for those out of town loved ones to let them know they will always be in your heart. The Merry Christmas deer card coordinates with the Reindeer Games cut file that I made this cute wood sign with. I have an older lady that goes to my church who is just the sweetest thing. She will send out a handwritten greeting card for the most random of things and it totally makes my day when I get one from her! She will send one to say thank you for a comment I made in class or to say that my kids were well behaved and she thinks I’m doing a good job! How sweet is that? And I know I’m not the only one she sends these happy little greetings to, lots of my friends have said they too have gotten them. I want to be more like her and brighten others day. What better time to do that, then during the holidays? You print both on the same sheet of paper and then cut and fold. So print up a bunch and keep them on hand to give to neighbors, church members, unexpected visitors and of course those on your Christmas card list! Get these cards and all of the coordinating goodies by clicking >HERE.